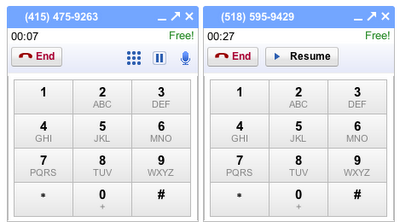 The Google Voice Blog tells us that we can now have multiple calls coming in in Gmail. They are always nice over there to offer a nice little picture to illustrate new features. Of course, if they are going to display a picture of a phone call, how long do you think that phone call will last? 27 seconds? Yup. Click here to read the original post from the Google Voice Blog.